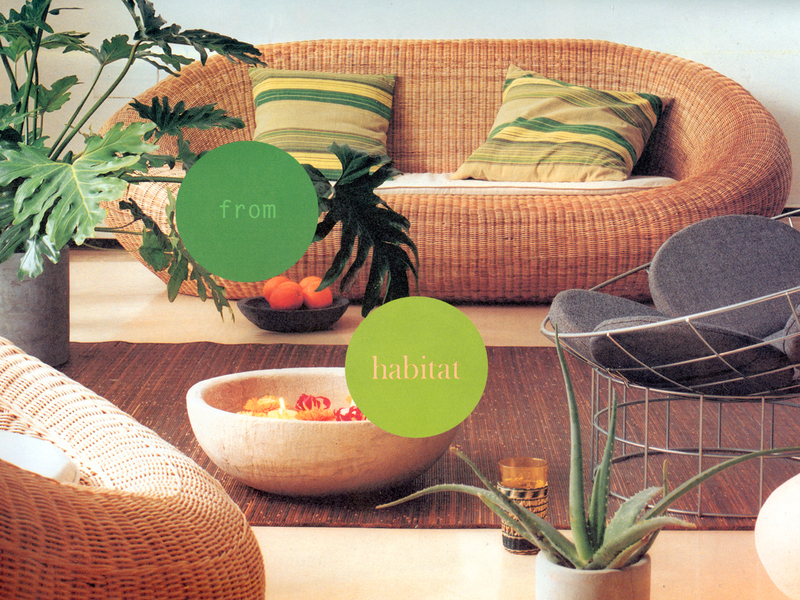 Our first commercial design, the “Pod” rattan sofa & armchair, is launched by Habitat, under the art direction of the then newly appointed Tom Dixon. “Wrought iron frame covered with either dark Malacca or varnished natural rattan. Seat cushions sold separately. 100% ecru cotton cover.